Therapeutic currents are, special electric currents that are applied to human body for healing the body. 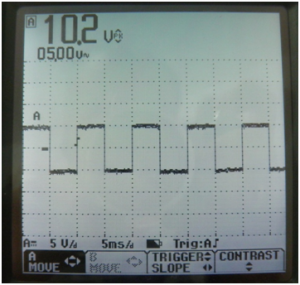 Generally these are defined by using voltage-time chart of the current which can be seen in the oscilloscope screen. 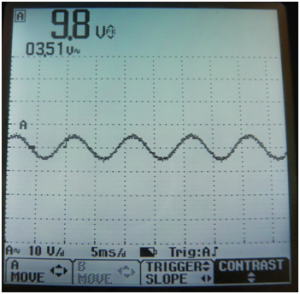 This page summaries the waveform of common therapeutic currents. An ossiloscope is an instrument which is used to observe voltage changes during time in electric circuits. 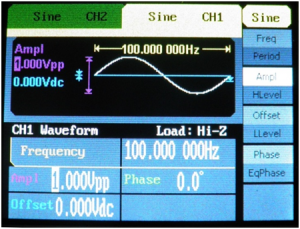 A signal generator is an instrument which generates electrical signals at given waveform, frequency and amplitude. Electrotherapy equipment is a kind of signal generator which generates therapeutic signal waveforms in safe frequency and amplitude. 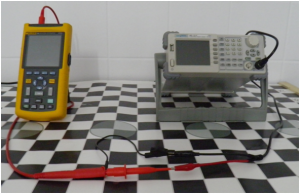 Frequency is a term which describes how many times a waveform repeat it self per second by signal generator. Figure 2: Signal generator settings for sine wave at 100 Hz frequency and 1V peak amplitude. Figure 3: Ossiloscope screen shot for sine wave at 100 Hz frequency and 1V peak amplitude. Figure 5: Osiloscope screen shot for sine wave at 500 Hz frequency and 1V peak voltage amplitude. 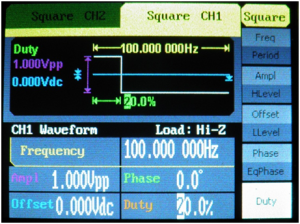 Figure 7: Osciloscope screen shot for sine wave at 1000 Hz frequency and 1V peak voltage amplitude. The term peak amplitude defines the highest positive or negative value of a waveform. In therapeutic currents peak amplitude generally defines the highest value of the voltage during time. The term peak to peak amplitude defines the amplitude between the highest negative to highest positive value. 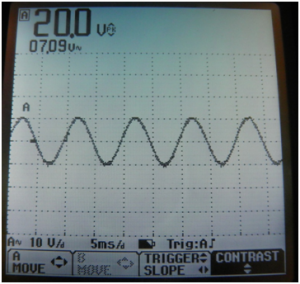 Peak to peak amplitude of a sine wave is equal to two times peak value of a sine wave. 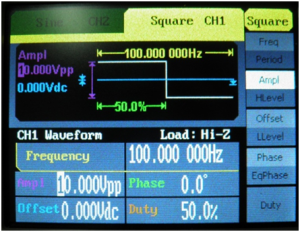 The term mean amplitude defines mean value of a waveform. 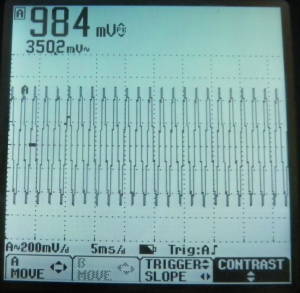 In therapeutic currents mean amplitude is a quantity in terms of voltage. 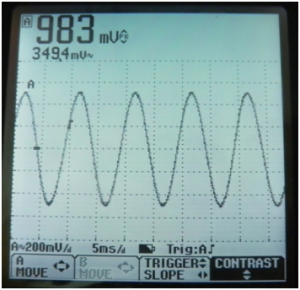 Peak amplitude of a sine wave has different mean amplitude value. Mean amplitude of a sine wave is equal to 0.637 x Peak Amplitude. Figure 8: Signal generator parameters for a sine wave at 100 Hz and 1V. 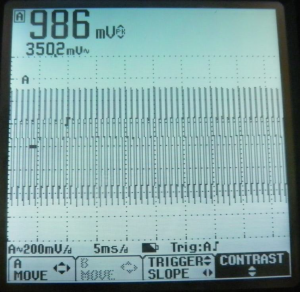 Figure 9: Osciloscope screen shot for peak and mean amplitudes of a 100 Hz 1 Volt sine wave. 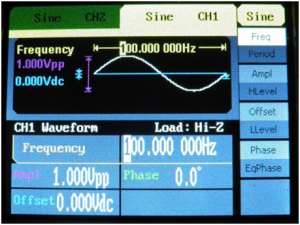 Figure 10: Signal generator parameters for a sine wave at 100 Hz and 10 V.
Figure 11: Osciloscope screen shot for peak and mean amplitute of a 100 Hz, 10V sine wave. 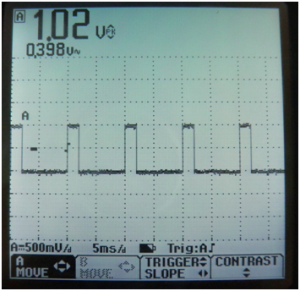 Figure 12: Signal generator parameters for Peak and mean amplitude of a sine wave at 100 Hz and 20V. 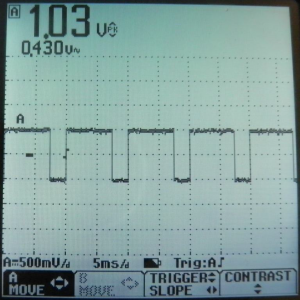 Figure 13: Osciloscope screen shot for peak and mean amplitute of a 100 Hz, 20V sine wave. 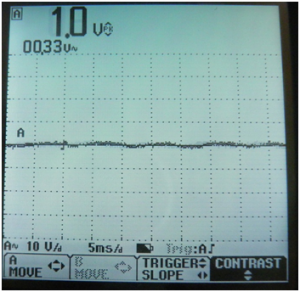 Square waveform is a common therapeutic waveform. 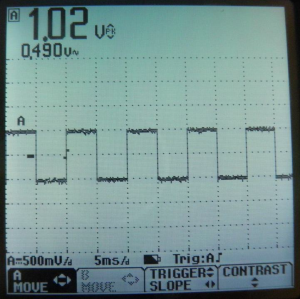 Interrupted galvanic current and TENS are forms of Square waveform. 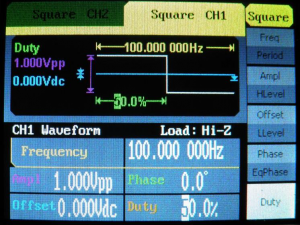 The main parameter of a square waveform is duty cycle. It defines the time ratio when voltage is higher or lower then zero and when voltage is equivalent to zero.